For a small fee we will include horses for sale or loan on our website, providing they are known to us. On request UPEC will give an honest appraisal of any horse advertised, to both buyer and seller. We provide re-schooling and sales preparation services and will be pleased to discuss your requirements. We currently have no horses for sale or loan at the moment, but please check back soon. We make and sell all our own hay, haylage and straw. They come in large round bales or conventional square ones. But we also make a very handy medium round bale – big enough to be useful if you have more than a couple of horses but small enough to manage by hand. 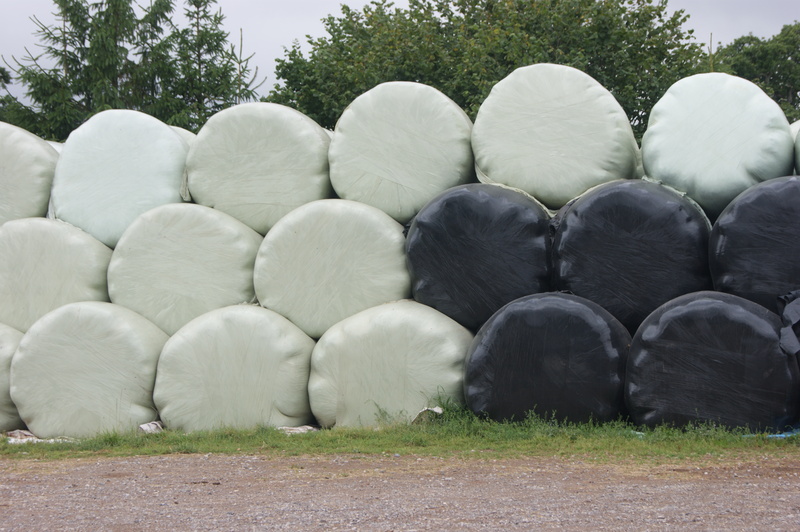 “If Marks & Spencer’s made haylage this is what it would taste like!” For prices and availability ring Stewart on 07719 056664.